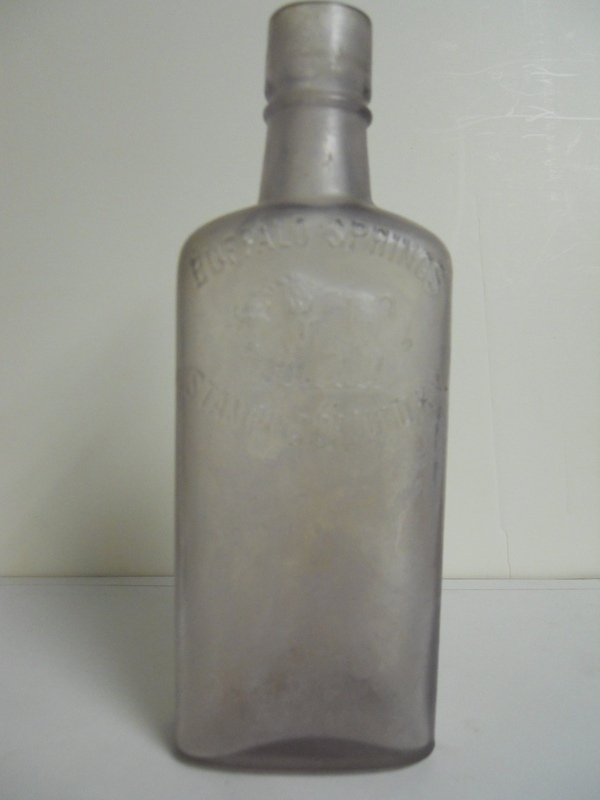 Shown here is an early bottle for Buffalo Springs Distillery. It features a raised image of a buffalo in the glass. Courtesy of the Georgetown and Scott County Museum.